The National Museum Arts & Gallery has closed off part of the gallery as a precaution of saving cost while the Museum is trying to build its financial capacity. When this Newsroom asked the Director of the Museum, Dr Andrew Moutu about the Institutions financial status, he confirmed that they have had financial issues but that has been already sorted out. 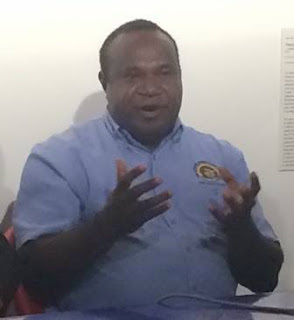 “Like all Government organisations we did have cash flow issues so since December we decided to close up the Public Gallery the reason been the gallery uses light and light uses up electricity and therefore it will incur electricity bills,” says Dr Moutu. Dr Moutu said the Museum deliberately close the gallery as precaution measures to save the cultural displays as disconnection of power can cause damage to the displays. So the gallery remains closed until further notice. The Director could not also disclose the amount of electricity bills that were incurred by the Museum but stated that they have already paid their bills. “Our grants have come in, we have received our warrants but we have yet to see that they are actually landed in our accounts so we can be sure about our financial future. So we are exercising careful thought and consideration the need for public access and the health of the collections as well,” says Dr Moutu.